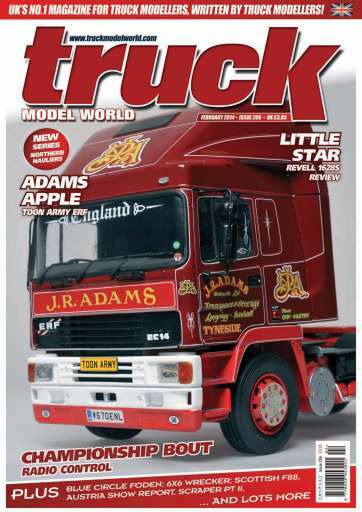 On the cover of this issue is a true Brit – an ERF Olympic in a traditional Tyneside haulier’s livery. There’s another traditional livery on a Volvo F88 – the well-known Anderson fleet form Bo’ness. 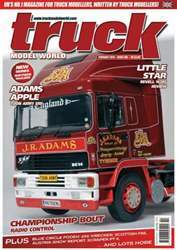 We bring you the second part of the scratchbuilt Cat scraper from last month; a review of the newly released Revell Mercedes 1628 kit; a report on the Radio Control Championships; A scratchbuilt Foden cement bulker; diecast conversions; a retro conversion Volvo F10 and even a California surfer truck!